The kidnapping of nearly 300 Nigerian students has sparked international outrage and has underscored the risks millions of girls across the globe face every day when it comes to seeking out their right to learn. Government agencies and advocates have stepped in to help recover the 276 girls who remain in captivity after getting abducted from their secondary school by Boko Haram, a terrorist organization that has threatened to sell the girls into marriage. While the mobilization is laudable, it has also served as a reminder of the grim reality far too many girls live with. Across the world, 31 million girls are out of school. The situation is particularly bleak in northern Nigeria where only 4 percent of girls graduate from secondary school. Depriving girls of education doesn’t just limit their earning potential, it also has grave health consequences. According to UNESCO, 7 million cases of HIV could be prevented in the next decade if every child receives an education. 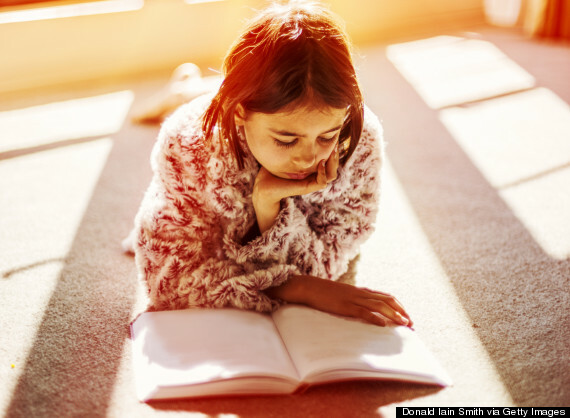 A child born to a mother who can read is 50 percent more likely to survive past age 5. A number of big-name activists are using their star power to remind the world just how crucial education is, and that the kidnapping victims are a symbol for every oppressed girl who should get access to learning. Malala Yousafzai, the Pakistani teen who was nearly killed in 2012 when she was shot by the Taliban while on her way home from school, decried Boko Haram and reminded the world that Islam doesn’t shun education and that every girl deserves access to school. “When I heard about girls in Nigeria being abducted … I thought that my sisters are in prison now,” Yousafzai told CNN. She further emphasized that her religion encourages learning, and that Boko Haram has defied one of the Quran’s tenets by depriving the Nigerian girls of their rights. "How can they deny this right?" Yousafzai said. "Islam gives a message to us that you should go and get knowledge and get education." Global Fund for Women works to advance the rights of women everywhere by investing in women-led organizations that focus on technology, leadership and education. In the educational setting, the group helps students build knowledge, skills, and self-confidence that allows for further progress of women and girls’ rights. Find out how you can get involved with Global Fund for Women here. In an effort to bring every girl the right of education that she was nearly denied, Malala Yousafzai launched her eponymous foundation, which works to empower girls globally and allow them to reach their full potential. The nascent organization is already making waves. Back in September, the group pledged to raise $500 million to help Syrian refugees in Lebanon get access to learning. The vocal advocate is also making an impact on the ground. In February, she helped hundreds of Syrian refugees cross from their war-torn country into Jordan. 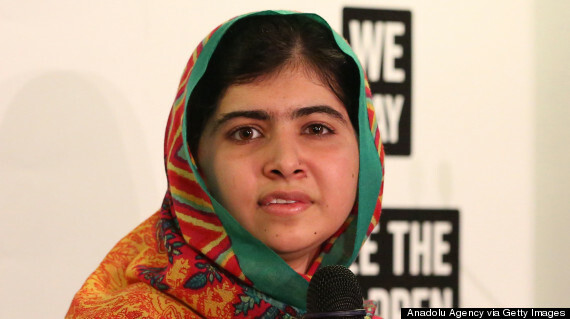 Find out how you can get involved with the Malala Fund here. Founded in 2003 by a former Peace Corps volunteer, Women’s Global Education Project works to bring education to girls in 58 rural villages in Senegal and Kenya by partnering with local groups and by addressing the complex economic, cultural and social issues that often keep girls from attending school. Find out how you can get involved with Women’s Global Education Project here. Girl Rising, a film that chronicles the challenges and successes of nine girls pursuing education in the developing world, has turned into a worldwide campaign that supports the idea that providing education can put an end to poverty. Together with USAID, Girl Rising Country Partnership is working to promote girls’ education in Nigeria, Democratic Republic of Congo and India. Find out how you can get involved with Girl Rising here. The Hoshyar Foundation works to improve girls’ access to education in Pakistan and other underserved parts of South Asia by partnering with local groups. The foundation does its part by helping to pay for teachers’ salaries and transportation, keeping at-risk schools open, providing funds to rent temporary facilities, and supporting literacy and job training programs. Find out how you can get involved with the Hoshyar Foundation here. The United Nations Girls’ Education Initiative (UNGEI) collaborated with a number of organizations with the unified goal of narrowing the gender gap in primary and secondary education, and to ensure that by 2015 all children complete primary schooling. Find out more about the United Nations Girls’ Education Initiative here. People from around the globe are raising awareness about the kidnapped schoolgirls in Nigeria.